Nestled in the pristine neighborhood of Regency Hills, this Oak Park residence is the definition of a family dream home. This turn-key home features 2,854 sq ft of living space on a 6,857 sq ft. lot while showcasing 5 bedrooms, 3.5 baths, swimming pool, spa, and waterfall. Enjoy the detailed crown moldings, plantation shutters, and high ceiling living areas when entering the home. Beautiful slate flooring lay beneath you as you enter the home with custom antique finish cabinetry. The newly remodeled kitchen has Viking appliances and granite countertops. 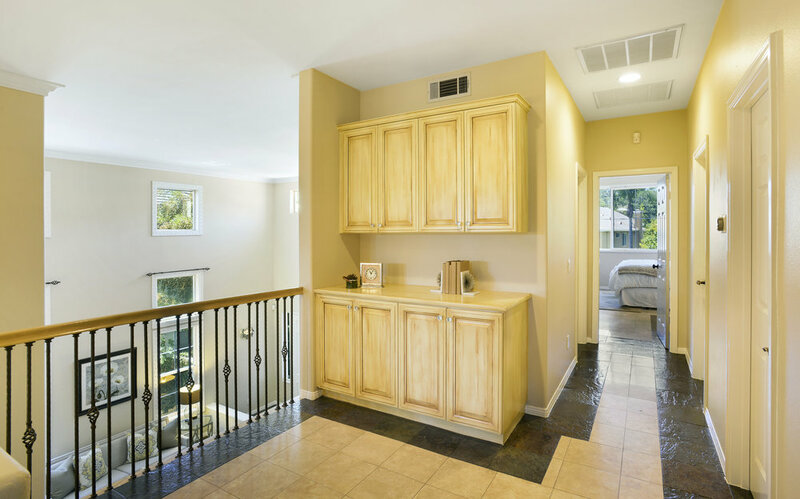 Upstairs awaits a fabulous master suite with French doors leading to a delightful balcony with mountain view. A garden tub and a granite finished bathroom with dual sinks and large shower leaves little to be desired. This home presents itself as the ideal family home in a wonderful neighborhood.